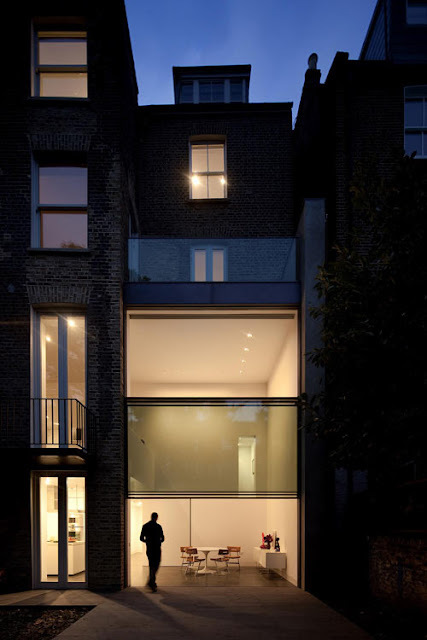 A Victorian townhouse on Basset Road, Kensington, in West London was renovated by Paul+O Architects. 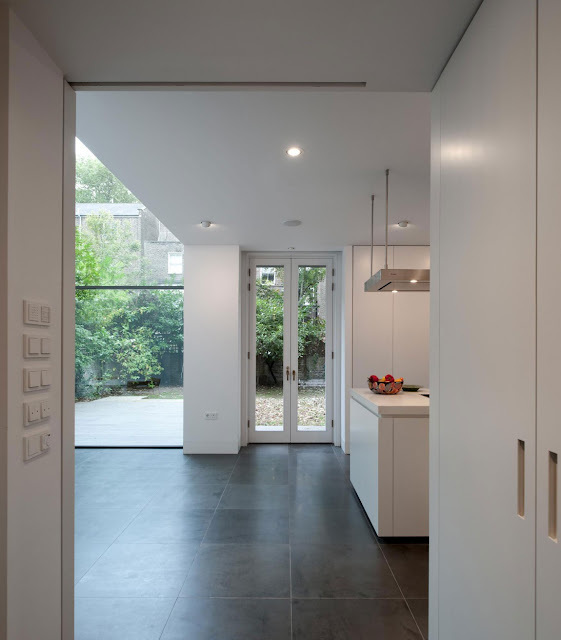 The once divided residence was redesigned as a single dwelling, with a double height extension at the backyard side. 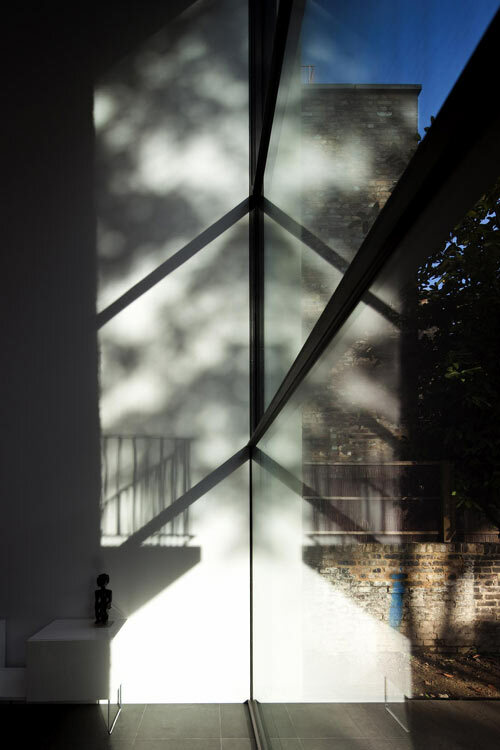 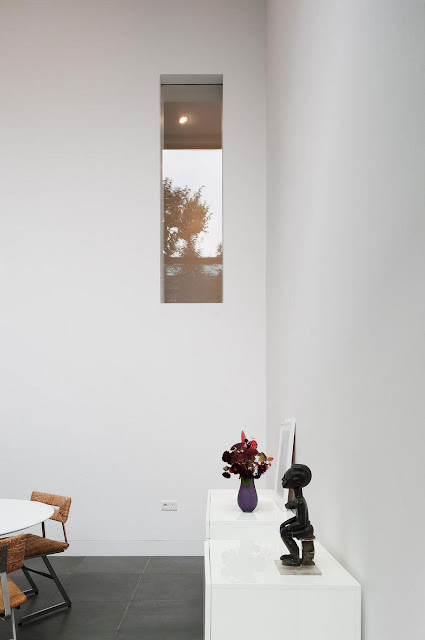 The front Victorian facade was preserved, while at the back of the house the extension features a motorized big size sash-window with a minimal aesthetic by Vitrocsa. 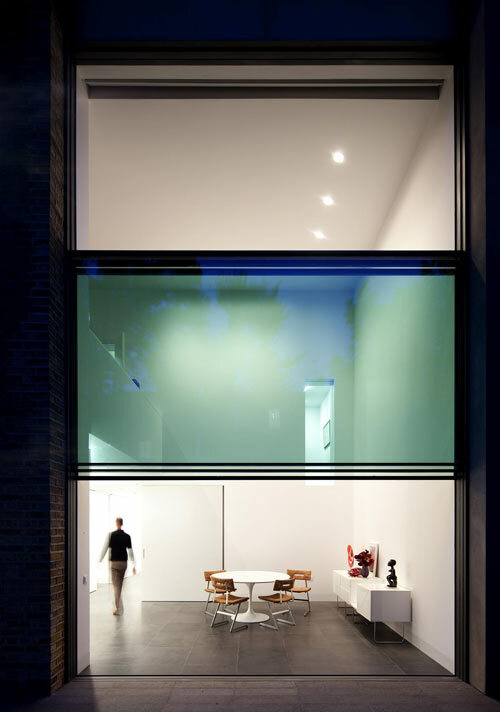 All Photos © Fernando Guerra, FG + SG | Architectural Photography. 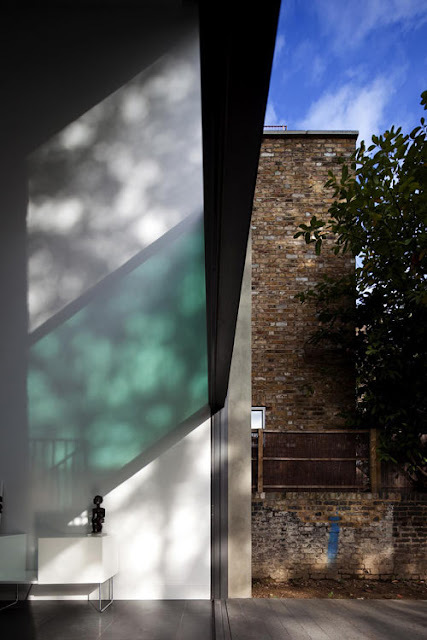 “House on Bassett Road is a contemporary renovation and remodeling of a Victorian town house in Kensington, West London by Paul+O Architects. 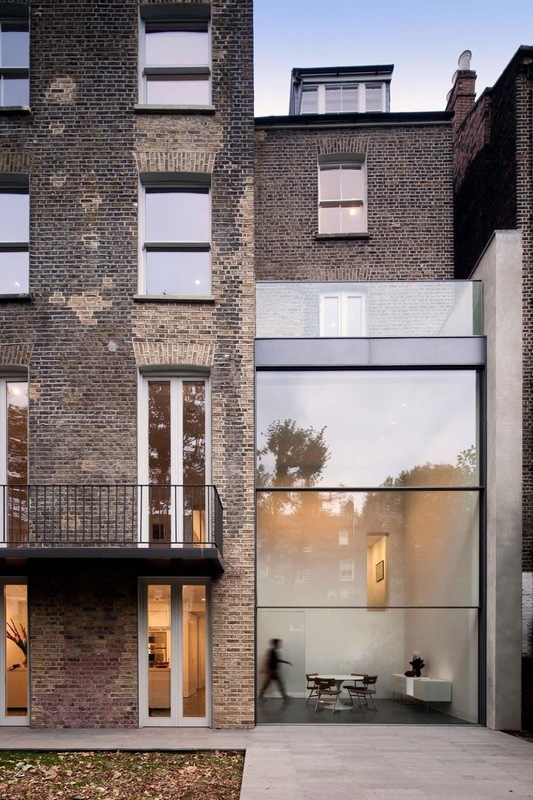 The project incorporates a double-height glazed extension to the rear featuring a unique motorized sash-window. 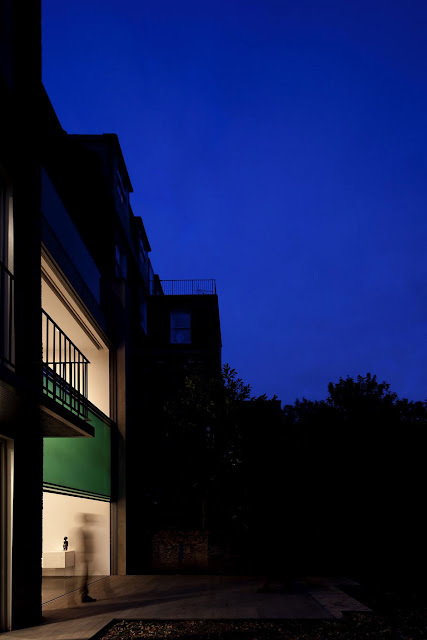 Previously divided into four flats, the project reinstates the double fronted four-storey house as a single dwelling house, creating both horizontal and vertical ‘open plan living’ while retaining the integrity of the original compartmentalized plan. Through a reorganisation of the internal layout and relocation of the staircase to one side of the house, open-plan living was achieved without disrupting the original architecture into one large amorphous space. 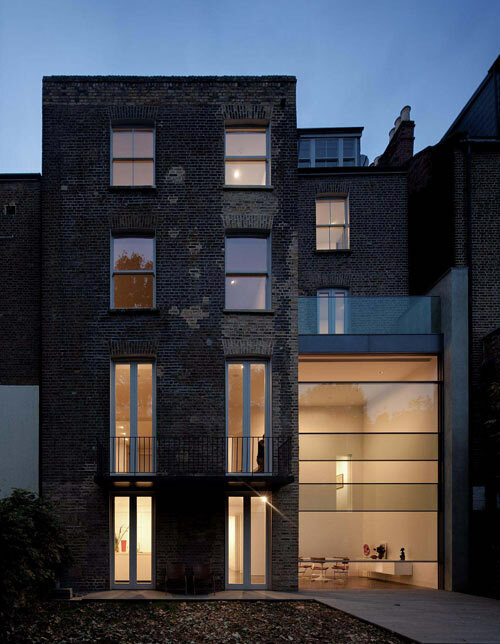 Located in a conservation area, the principle intervention is to the rear, thereby retaining the integrity of the street façade. 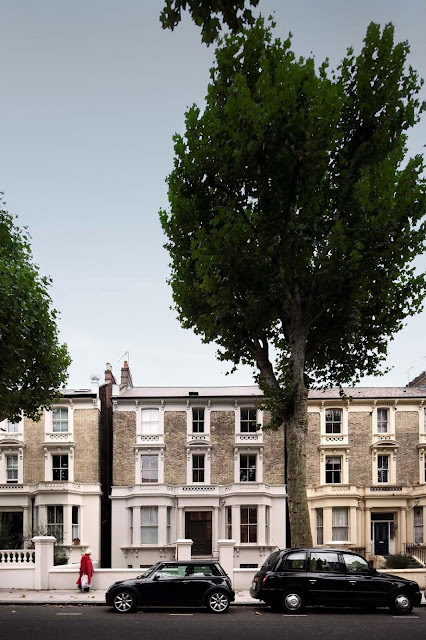 The rear elevation features a new 6m double-height extension – replacing an earlier unimaginative single-storey 70s extension – connecting ground and first floors and achieving spacious open-plan living in 3-dimensions. 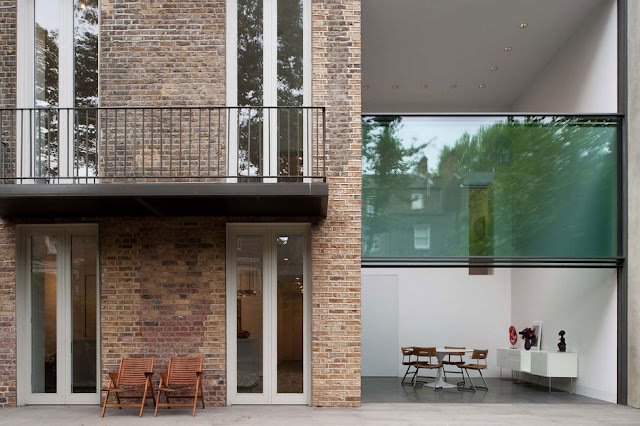 The extension incorporates a unique motorized oversized triple sash window measuring 6.4m x 4m (21ft x 13ft), which opens out to the garden. 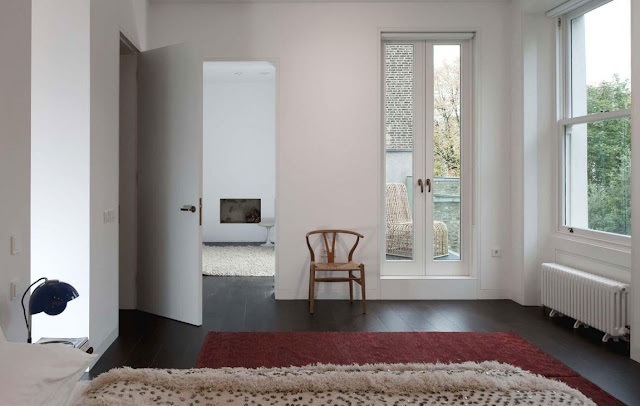 Supplied by Vitrocsa, the Guillotine window is a contemporary interpretation of the ubiquitous Victorian sash window on a much larger scale. It extends to the full height and width of the extension flooding the principal living spaces with light and creating uninterrupted views of south-facing garden. The extension is minimal in its design and the palette of materials (glass and a new flank wall of cement render) is purposefully designed to distinguish it from the original brick building, an approach encouraged by English Heritage, who suggest that additions to period buildings should make clear what is of our time and what is historic.